HASHIMITE KINGDOM, JORDAN (ANS)—Dr. 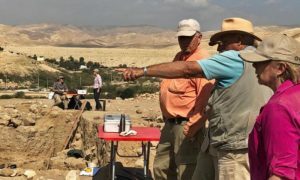 Steven Collins, Director of the School of Archeology at Veritas International University, is in his fourteenth season overseeing excavations at the Tall el-Hamman archeological site in Jordan. 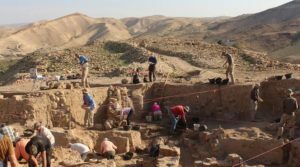 As TV documentaries, books, and a recent chapter in the Harvest Handbook of Apologetics states, the evidence that Tall el-Hammam is the site of Sodom is mounting with each season. 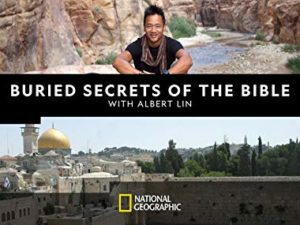 And with a new National Geographic television episode of Buried Secrets of the Bible (with Albert Lin) featuring Tall el-Hammam currently airing, I thought an interview conducted by John W. Moore, PhD, Professor of Historical Geography at Trinity Southwest University, would be an appropriate update on the Tal el-Hamman archeological excavation. What in the world prompted you to look for Sodom? It’s all in the book! Really, for a full answer to this the book Discovering the City of Sodom that Simon and Schuster published gives all the details. But it was pretty simple. Most scholars thought it was a myth. Others simply had it in the wrong place, which supported those who doubted its existence. I did a detailed geographical analysis of the key biblical passage (Genesis 13) and it was quite clear: Sodom was northeast of the Dead Sea. Then we went looking. And it was there in a big way! Wasn’t there a consensus among scholars that the city of Sodom was either an etiological narrative or, at worst, a complete fiction? Yes, of course. That tends to happen when a lot of ink is spilled on this kind of subject, but no qualifying site is ever discovered. But in this case, it was simply that people had badly misunderstood the text or ignored it. Hard to find something when you’re looking in the wrong place! We fixed that. So you actually believe that the narratives and geographical references in the Bible are true and accurate? Completely. Of course, you have to keep them their ancient context and let them say what they say in their own way and not superimpose modern ideas on them. Biblical geography is amazingly accurate. You might even say perfectly accurate. Early on there was considerable opposition to your identification of Tell as Sodom. Has that settled down some since then? On this point professor Aren Maeir once said to me that when caravans pass, dogs bark; but keep moving and the barks will fade away. And that’s pretty much the way it has gone. This thing wasn’t a flash-in-the-pan. It was based on rigorous research and the archaeology has confirmed it from every possible angle. And the critical voices have died down considerably, for the simple reason that we’ve answered every possible objection with facts and hard data. Looking NE across Field UA. What about its suggested location at the southern end of the Dead Sea? It’s a dead subject. Anyone who still holds to that idea is simply, well, delusional. There isn’t anything down there that could possible connect up with the Sodom narratives of Abraham’s day. Besides, all the sites in that area were out of business by around 2500 BC, and that’s hundreds of years before the time of Abraham. And anyway, they were all too small and marginal to be the prosperous Cities of the Kikkar. You mentioned that you used the text of the narrative in the Bible to create a list of clues as to the location of Sodom? What were some of those clues? They’re all in Genesis 13:1-12. The Kikkar of the Jordan was visible from the area of Bethel and Ai where Abraham and Lot we camped. Bethel and Ai are about 14 miles west-northwest of Jericho. Lot could see all the Kikkar of the Jordan from there. Then he traveled eastward and pitched his tent as far as Sodom. That puts you on the eastern Kikkar northeast of the Dead Sea. This is unequivocal. No argument against this. 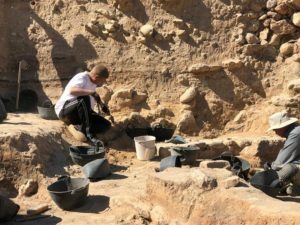 You keep mentioning the word “kikkar.” What does that mean and how does it help in your location of the site for Sodom? For those who don’t know, where is your excavation? Tall el-Hammam is about twelve miles northeast of the Dead Sea, directly opposite Jericho on the other side of the Jordan. There are many ruins in the region you call the Kikkar. How did you select the one you’re excavating? Examining a carinated bowl fragment. I don’t call it the Kikkar. The Bible calls it the Kikkar! The Sodom narratives make it clear that Sodom itself was the largest of all the Kikkar cities. That’s why it’s always mentioned first. And it’s the only one that’s ever mentioned by itself, not in a list behind Sodom as the others always are. Of all the Bronze Age cities on the eastern Kikkar, Tall el-Hammam is the largest by several orders of magnitude. So, it was a no-brainer, really. How many years have you been excavating? This is our fourteenth season. We did on-ground exploration and analysis for five years before that. I was much younger then! As was I! What have you been finding that supports your theory that TeH is Sodom? If you or anybody else is willing to say that the location of Jerusalem is a theory, then you can use the word “theory” in relation to Sodom. But there’s more geographical data in the Bible for Sodom’s location than for Jerusalem. I can’t think of a better-identified biblical city than Sodom at Tall el-Hammam. The few who still doubt it are stuck on the old “mythical” Ussher chronology that puts Abraham in the 22nd and 21st centuries BC. But it’s impossible to put the story back then. Jerusalem and the other cities mentioned in the Abraham stories didn’t exist then. That’s just an archaeological fact. Abraham belongs to the Middle Bronze Age, after 1850 BC, when these cities and the other elements of Abraham’s story actually did exist. 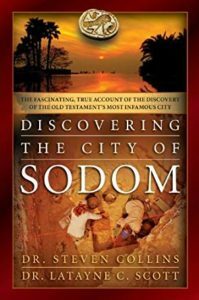 When did the city of Sodom exist? It was “founded” as a fortified city in the Early Bronze Age, in the 4th millennium BC. That matches the mention of the Cities of the Kikkar in Genesis 10, by the way. Then it was continuously a Bronze Age city-state until it was destroyed. When was the city destroyed? In the second half of the Middle Bronze Age, about 1700 BC, give or take a bit. JM How do you know when it was destroyed? That’s what the pottery says, and that’s also what the radiocarbon dates say. There’s really no doubt about it. The mode of destruction of the city is of great interest to everyone, including the National Geographic documentary that was filmed at the site back in October. What have you learned about that? How was it destroyed? We always suspected a cosmic event like an “airburst” because that’s what Genesis 19 specifically says. Not a volcano or something like that? No. There was no volcanism in the region at all in historic times, not in the past fifteen thousand years at least. What kinds of evidence supports the idea of an airburst? We have a lot of evidences of a high-heat event, and anomalous “signatures” in the MBA destruction layer that are consistent with a meteoritic airburst. And all the cities in the area also went off-line at the same time, and they all, including Tall el-Hammam, stayed unoccupied for about 700 years. Dr Silvia and the researchers working on this will be publishing a major article soon. Stay tuned for that. Hopefully this year. Did the destruction involve Jericho across the Kikkar? And if so, how could there have been a Jericho for Joshua to attack? Jericho was destroyed at about the same time as Tall el-Hammam, perhaps as “collateral damage” of the same event. Jericho remained unoccupied for about 300 years following its MBA destruction. Then around 1400 BC it was rebuilt on a smaller scale, but fortified, and was destroyed during the 14th century, the final end of Bronze Age Jericho. 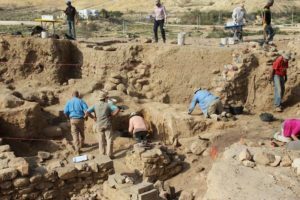 So, given the right date for the Exodus, the archaeology at Jericho works. What happened to the region after the destruction? You say that it was abandoned for 700 years? The agricultural soils were destroyed, ripped right off the landscape. It took about seven centuries for the soils to recover enough to allow agriculture to start again. Soil science. Dr Silvia can clue you in on this. It was part of his doctoral dissertation. How about the chronology of the story – if the city was destroyed in c. 1700 BC as you say, doesn’t that change all the dates that have been calculated for the patriarchal period, such as the ages of the Patriarchs and such? That’s the old Bishop Ussher chronology that I mentioned before. It’s a complicated subject. In a nutshell, the Genesis patriarchal lifespan numbers were base-60 honorific formulas, not base-10 arithmetic values. They’re authentically Mesopotamian in this way, and show that the text actually comes from the Bronze Age and was not “made up” in a much later era. We have to understand these things in their ancient Near Eastern context. This is crucial. What’s going to happen with the site in the future? Our plan is to keep excavating as long as we can. At some point TeHEP will pass into younger hands. But it’s hard to make us old guys go away! Personally, I’d like to find an archive from the Middle Bronze Age. That would be a rare event for the southern Levant. Hasn’t happened yet at any site in Israel or Jordan. The more data we gather, the better. 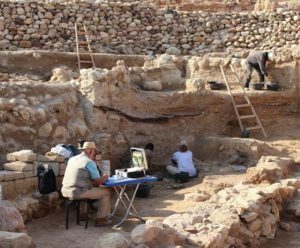 Archaeology is a slow process, and it takes a lot of time and money. But the end result is worth it, especially for those interested in the biblical world and its historicity. You’ve had some tough weather so far this season. Yes, but we’ve done the best we could. We’ve lost a few dig days. But Week 4 starting tomorrow looks really good, and the next week also looks OK. We’ll see. We’re praying for a full, hard-pressing week. We’re making it, but I’m concerned that we’re still just short of the season goal. Not much, but we need every penny of that, and then some, because our local labor costs went up from 12 dinars per day to 15, something we didn’t anticipate. So, surpassing the goal would be good. I know you don’t like talking about the funding issues. No, I don’t. Sometimes I think people feel that we’re always pounding them for money, and I hate that. But that’s how this project is funded. We’d love to have a seven-figure patron, but that hasn’t happened and we’re fine with that. Not that it wouldn’t be nice! But our supporters have been really faithful. But still about 95% of the people on our Update email list have yet to contribute anything financially to TeHEP. Literally, if everyone on our emailing list donated $50 each year we’d be able to raise our season budgets by 50%. And we’d cover the Radiocarbon Project, too. That would be fantastic! I had no idea that so few people actually give to the Project, even though they enjoy getting the Updates. I can see how frustrating that is. All we can do is try to get the word out as best we can. I guess a lot of people don’t see the point of it – archaeology that is. Take the Bible on faith and ignore the fight that’s going on over its historical veracity. That’s what Christianity has mostly done over the past hundred years. And how’s that working out? Look around. We’ve lost the culture. 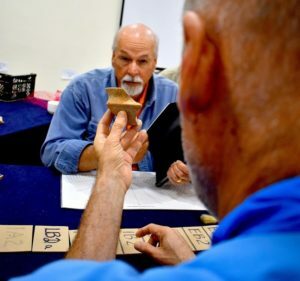 Archaeology is the only means of showing the historical character of the Old Testament in particular. 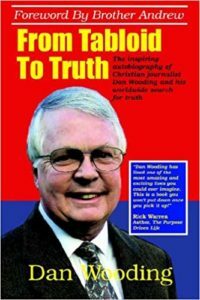 A skeptical, unbelieving world needs evidence. They need a reason to believe. Indeed. I know these fourteen years have taken a toll on you. But you’re committed to demonstrating the historical authenticity of the Bible. I think that’s what drives you. 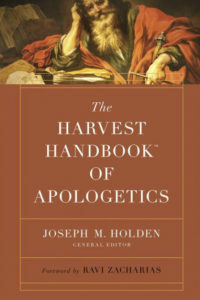 Harvest Handbook of Apologetics, with a contribution on archeology by Dr. Collins. Well, I can’t deny any of that. 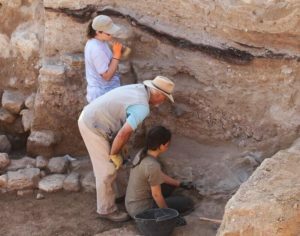 Registration for Season Fifteen of the Tall el-Hammam Excavation Project is now open! The 2020 season dates are 26 January through 5 March. Because of tightening restrictions by the Jordan Department of Antiquities it is necessary to start registration in order to have the paperwork complete, including individual security forms, ready to send to the DoA by August 31, 2019. For each dig week there are 38 volunteer slots available. These slots will be filled on a first-come-first-served basis. When you sign up (by paying the participation fee) you must choose your dig week(s) within 48 hours by contacting Dr Glenda Austin by phone (505-332-4253) or by email (admin@tsu-edu.us). If you fail to do this your name will automatically be moved to the end of the list. You must also have your dig paperwork and security form in the TSU office within 30 days of paying the participation fee. If you fail to do this your name will be moved to the end of the list. So, you must do three things to be a volunteer in Season Fifteen: first, pay your participation fee; second, declare your dig weeks within 48 hours; third, have your paperwork and security form on Dr Austin’s desk within 30 days. When the number of volunteers reaches 38 for a given week, that week will be closed and no additional participants will be accepted for that week. PLEASE NOTE: If you plan to participate for multiple weeks or the entire 6-week season, early sign-up is a must. For example, if Week 3 fills up quickly before you register (which it tends to do), then the most you will be able to do are the two weeks before or after Week 3. Each season TeHEP welcomes volunteers from around the world. We would love to have you with us in 2020! It is possible that the 38 available volunteer slots will fill up within only a few days, so look at your calendar, make your plans, and get signed up for Season Fifteen. Come dig into the biblical world with us!